Hanging drapes can create a dramatic statement in your home when it is done properly. Depending on the length and style of the drapes you choose, the room can take on a look of elegance, romance or country charm. Knowing how to hang drapes properly is an important step in ensuring that you achieve the best look for your home decor. Determine the proper drapery length for the windows based on their location in the home and the look you are trying to achieve. Shorter curtains are appropriate for the kitchen and should be measured to reach either just above or just below the windowsill. In dining rooms, formal living rooms or dens, floor-length drapes are most appropriate, whether they are used to block light or as a purely decorative feature. Drapes that puddle on the floor give master bedrooms an air of romance. Measure the windows properly to ensure that you purchase the correct length drapes based on how you want the drapes to hang and where the curtain rod will be installed. When measuring windows, take every measurement possible including the distance from the top of the window frame to the floor, the width of the window including and excluding the frame, the distance between the outside frame and the wall and the length of the window including and excluding the frame. Plan for any special effects that you want to create with your drapes, such as creating an illusion of bigger windows or higher ceilings. 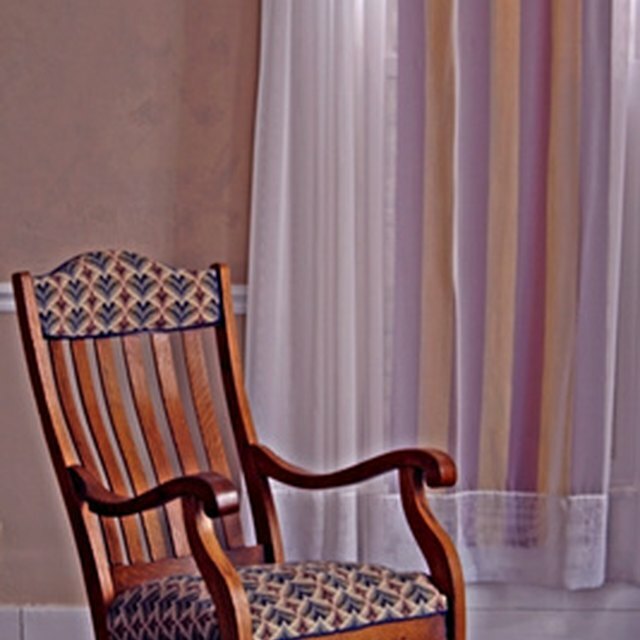 To give the appearance of larger windows, choose floor-length drapes and install them high above the window frame. When trying to achieve this look, it is important that the window frame is not visible from below the top of the drapery. Drapery that has a valence may be necessary to implement this look properly. 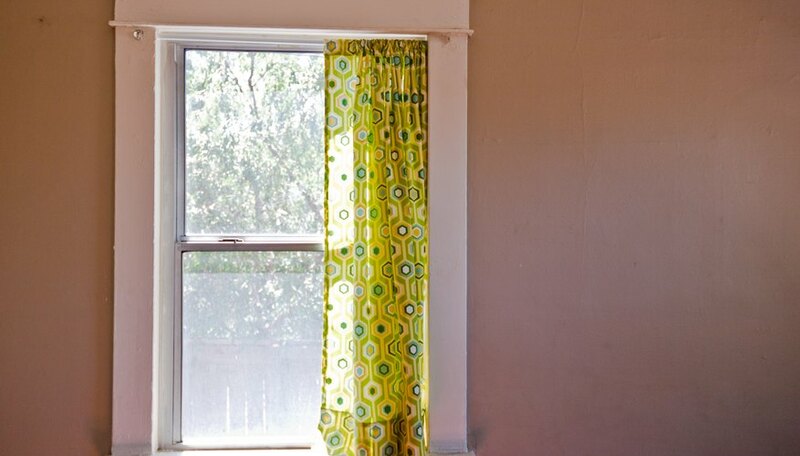 To make narrow windows appear wider, hang the drapes on the outside of each window frame, ensuring that the frame is entirely covered by the drapes. 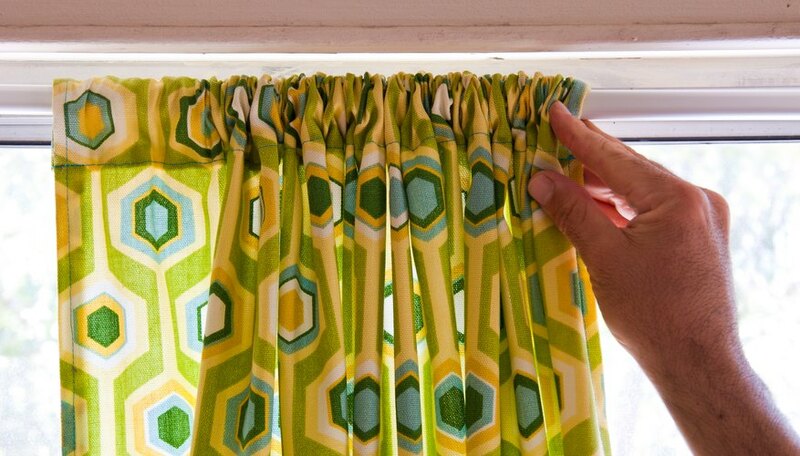 Install the curtain rod. Typically, curtain rods are installed approximately 4 inches above the window frames, though they can be hung higher to make the windows appear larger. 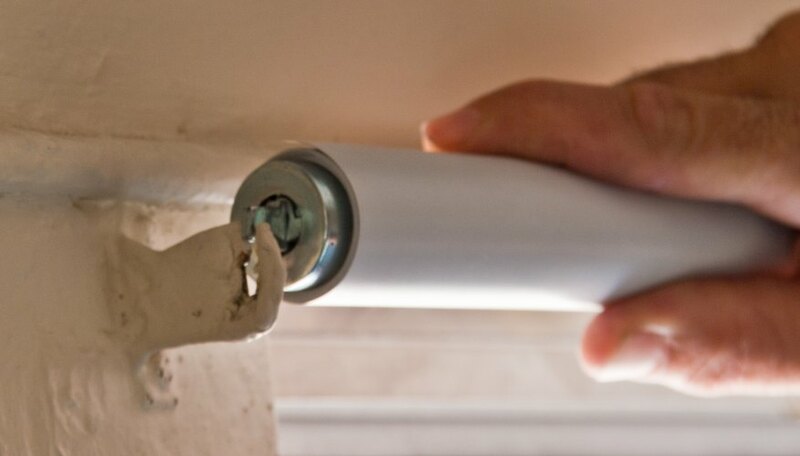 When installing the rod, it is important to ensure that the curtains hang at the correct length. Long drapes should not hang above (or be even with) the baseboards. For best results, make sure that they hang just above the floor. 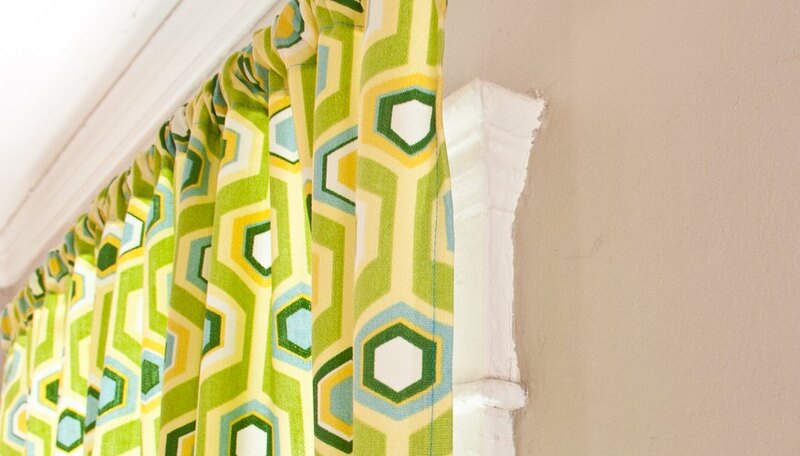 Arrange the drapes on the curtain rods to complete the project.